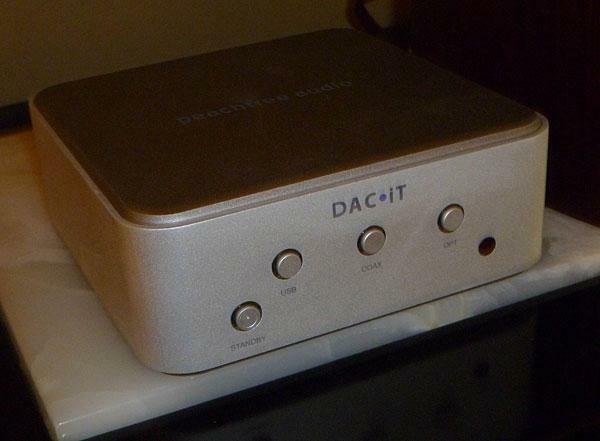 I've had the new Peachtree DAC•iT at home for several months and a review will be showing up in Stereophile shortly. It's a great little product for the money ($449) and sports USB, SPDIF and Toslink input and features an ESS Sabre32 9022 chip. 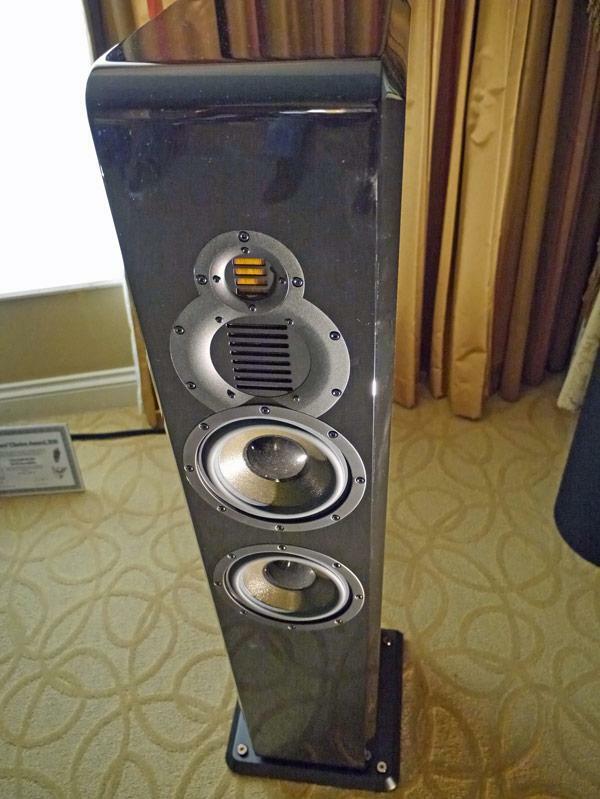 The GoldenEar Triton Two, which I reviewed in the February 2012, issue, is my favorite speaker at anywhere near its price ($2499/pair until February 1, when it goes up to a still-very-reasonable $2999/pair). The Triton Two now has a "little brother": the Triton Three ($1999/pair), is a smaller version of the Triton Two. The resemblance goes beyond the physical; listening to a pair of Triton Threes, I was very much reminded of the Twos: the same sort of expansive soundstage and bass that was very nearly as impressive as I'm familiar with from the Twos. Reduced to its essentials, the "new, iconic product concept" is a division within B&O under a new brand, called "B&O Play." As I understand it, the products with the B&O Play brand will have all the traditional quality that B&O is known for, but they'll be less luxury-oriented, more "fun"and perhaps less expensive. The first product under this brand is the Beolit 12, a portable (battery-powered), AirPlay-equipped sound system. 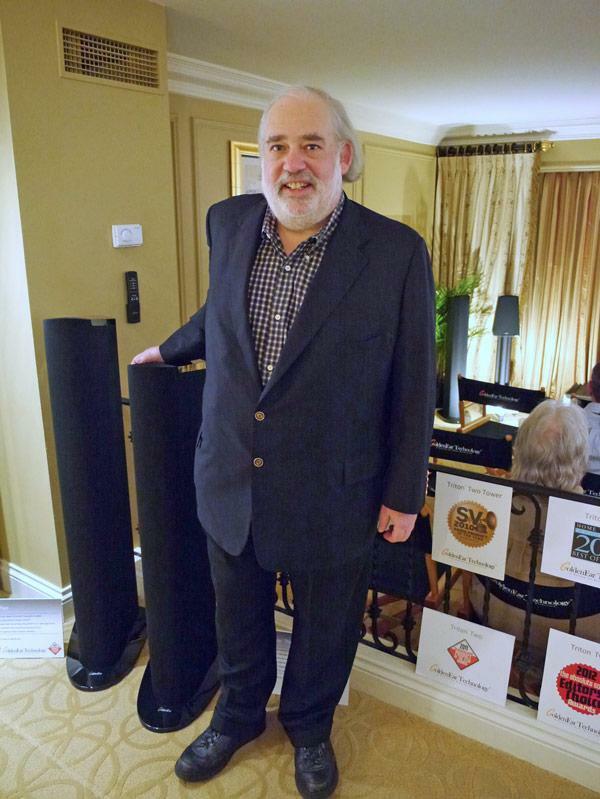 MartinLogan is famous for speakers that use electrostatic driversfull-range or in combination with dynamic woofersbut they have more recently broadened their offerings to include non-electrostatic models. 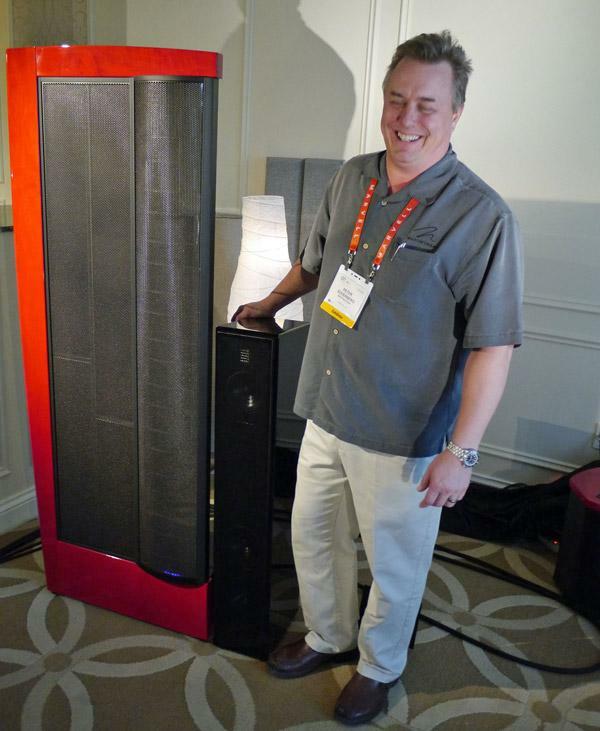 According to MartinLogan's Peter Soderberg, their aim is to produce speakers that approach the sound of their electrostatic models, but at a lower price and easier to drive. He says that this has become possible with their version of the Heil tweeter (the original Oskar Heil patent having expired). He did a comparison for me between their top-of-the-line electrostatic CLX ($25,000/pair), supplemented by the Depth 1 subwoofer ($2000), and the new Motion 40 ($1995), which uses the Folded Motion (aka Heil) tweeter, in both cases driven by Anthem's new class-D amplifier, top-of-the-line Conrad-Johnson preamp, with a laptop as source. With Patricia Barber singing "Norwegian Wood," the tonal balance of these physically very different speakers was surprisingly similar. Peter Soderberg is pictured here with the CLX and the Motion 40, after what must have been an exceptionally amusing quip on my part. 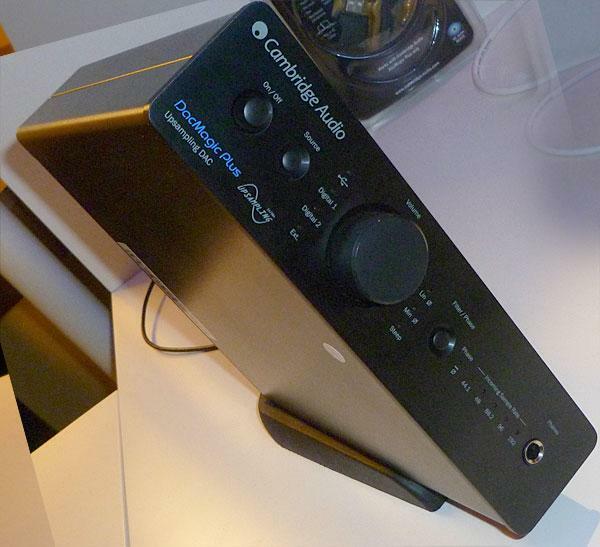 The Genesis Advanced Technologies 7.2f claims to be the "new affordable reference for bringing true-to-life music into your home." And they have a formidable amount to technology in the speaker to support this claim. 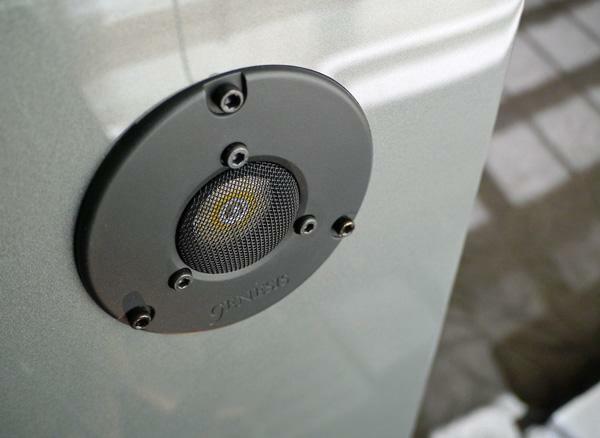 At the top, there is the latest version of the circular flat-ribbon tweeter that apparently has been steadily improved since it was first introduced in 1992 (and which, for once, owes nothing to Dr. Oskar Heil). A solid titanium-cone mid/woofer claims to deliver exceptional clarity and low distortion within its range (and the "oil-can" resonance is far outside the range where the driver is utilized), and a servo-controlled powered bass from an 8" side-firing aluminum-cone driver, is claimed to extend the response down to 22Hz. There is also a rear-firing tweeter, which can be turned off if desired. There is control over tweeter as well as woofer level. The price of all this technology is a very reasonable $9000/pair. 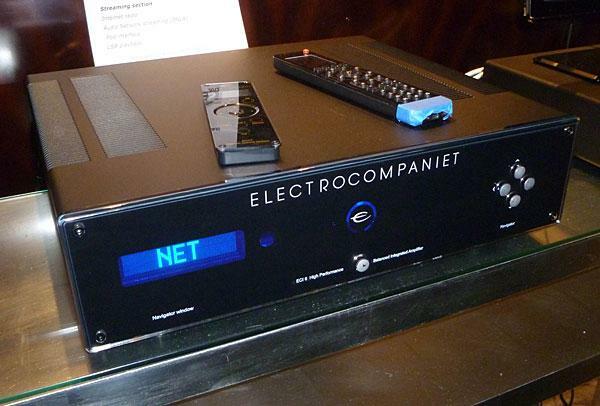 Not strictly a digital product, the ECI-6 DS from Norwegian manufacturer Electrocompaniet is a 125 watt per channel integrated amp that also incorporates a DAC and streaming and runs $5995 for the "basic version". DAC inputs include SPDIF, Toslink and USB and the ECI-6 DS can stream internet radio, DNLA devices, iPods, etc. 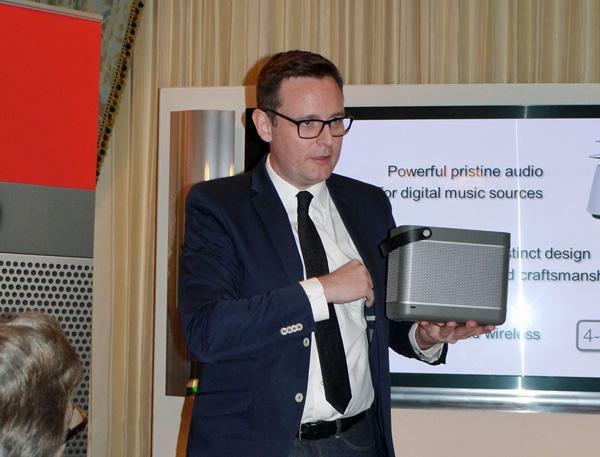 Company COO Peder Beckman provided an interesting demo where he was able to move the music stream from the integrated amp to a handheld device (in this case an Android phone), which started playing the music though its tiny speaker instead of the main system. Electrocompaniet was also showing the new EMP-2 Disc Player based on the Oppo 93. They have added their own 24/192 DAC, analog board and balanced outputs. All for $3995. 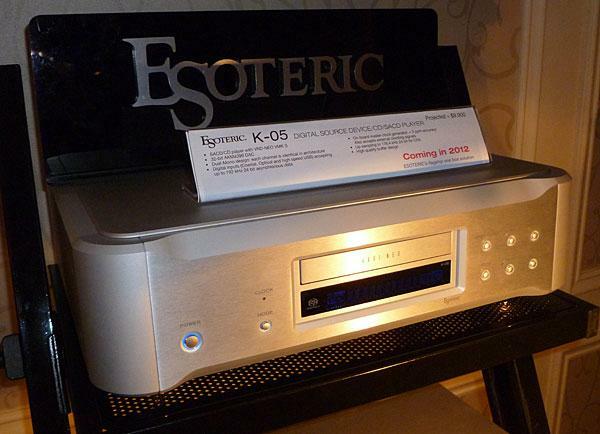 Esoteric displayed the new K-05 SACD/CD player scheduled for release sometime in 2012 at a retail price of approximately $9,900. 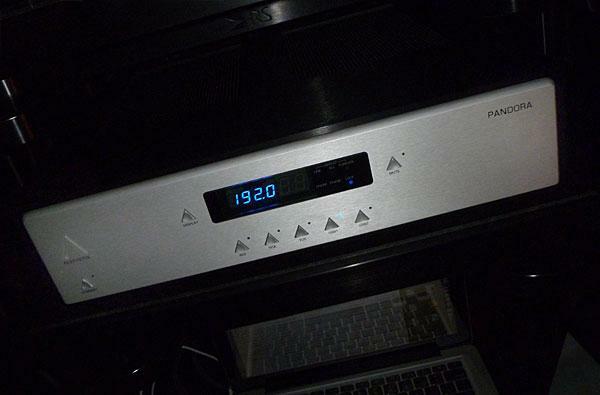 It will be a dual-mono design and feature 32-bit AKM4399 DACs, 24/192 digital inputs including asynch USB. CDs are upsampled to 24/176. What we have here is the Vincent C-35 Hybrid HDCD CD Player. 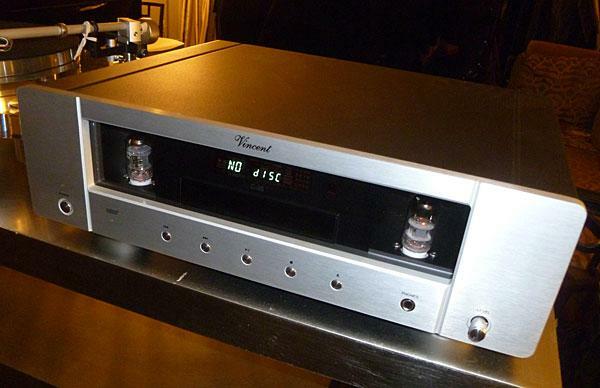 It features a 100% vacuum tube output stage (two 12AX7 tubes and one 6N10), dedicated headphone amp with volume control and SPDIF digital output. Priced at $1,999.99. 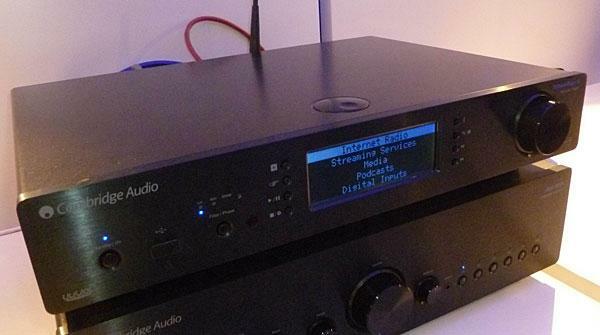 A combination digital preamp, streamer and DAC, Cambridge Audio's Stream Magic 6 also has twin Wolfson WM8740 DACs that upsample to 24/384 and a 24/192 USB input. All for $1,149 and available sometime this month. For those just needing a DAC, the 100 has Wolfson WM8742 DAC chips, three digital inputs including 24/192 USB and a retail price of $399. Should be available in March. And then there is a new update on the original DacMagic. 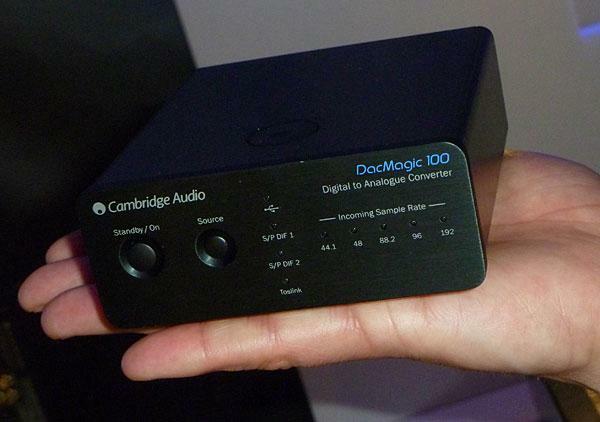 The price is $599 and the USB input allows 24/192 and the Plus features the same Wolfson DACs at the Stream Magic 6. Available now. 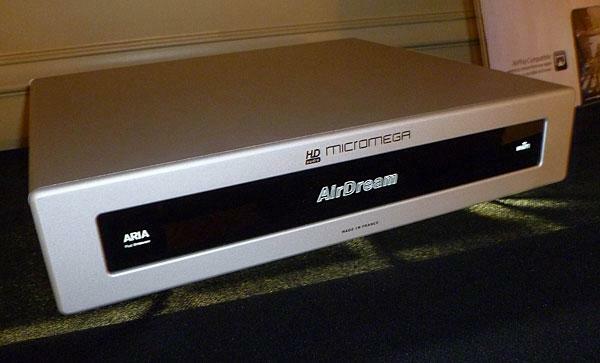 France manufacturer Micromega's $4,995 "WHiFi" player is AirPlay compatible, meaning it can wirelessly stream from any Apple device. Audioquest is known to the general public as a cable manufacturer and also to audiophiles for their phono cartridges. 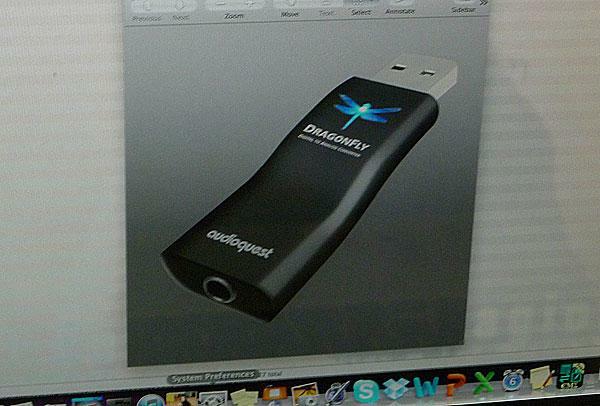 They will soon jump into the DAC market starting with the Dragonfly USB to miniplug DAC. Steve Silberman was on hand to provide a demo of the new product in raw circuit board form, and I was able to grab an artist rendering of the finished product from his laptop as seen above. The light on the back of the dragonfly changes color depending on what sampling rate is being detected. The asynch 24/96 USB DAC will be about the size of a finger and its electronics have been designed by Gordon Rankin. Price is estimated at around $300 and it should be available in April.